Russia Running Out Of Time, As Mars Mission Seems Destined To Fail : The Two-Way Russians have had no luck contacting a spacecraft that was bound for Mars. If no progress is made, it's expected to crash into Earth's atmosphere. 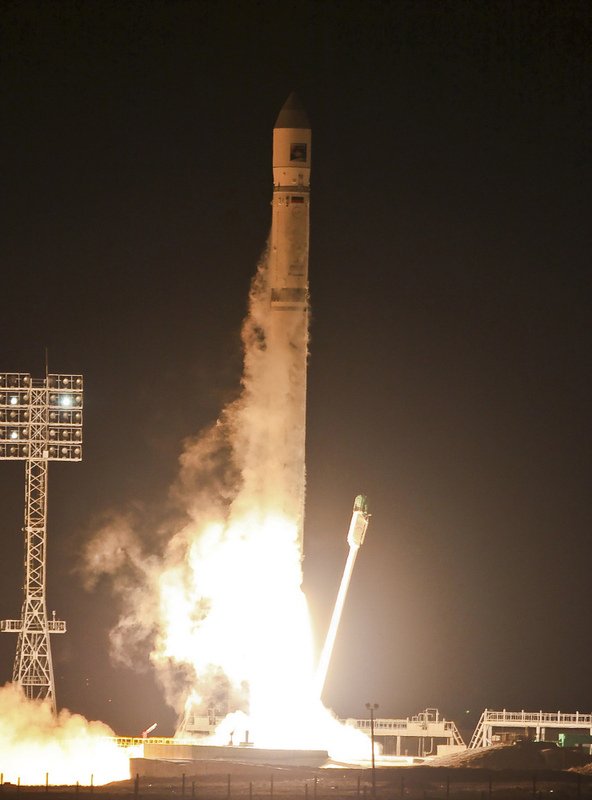 Russians are feeling pretty gloomy after spending days trying to contact a spacecraft aimlessly orbiting Earth. The Zenit-2SB rocket with Phobos-Grunt (Phobos-Soil) craft blasts off from its launch pad at the Cosmodrome in Baikonur, Kazakhstan. The Phobos-Grunt spacecraft was destined for one of Mars' moons. As we reported earlier this week, it was supposed to scoop up some rocks and return home with its specimens, but one of its boosters failed to ignite and now it's stuck. 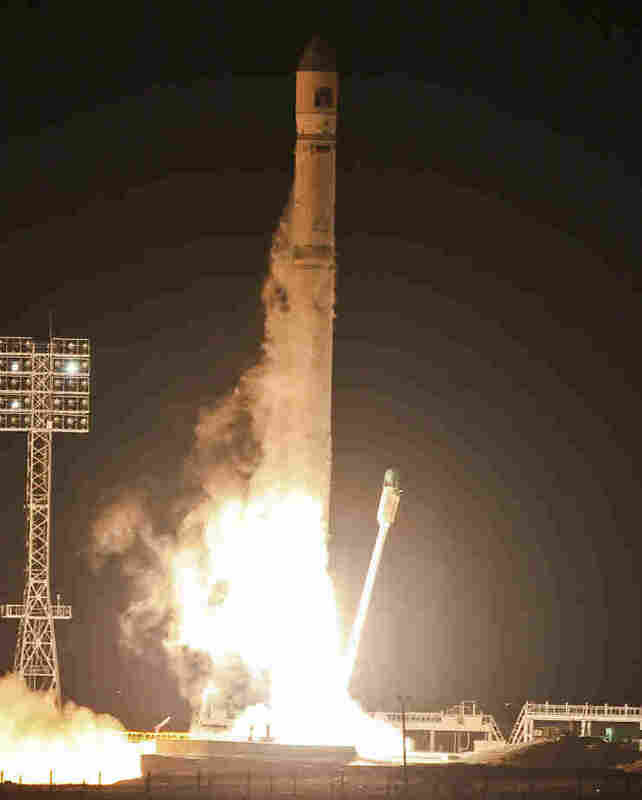 RIA Novosti, Russia's official international news outlet, said scientists have been trying to reconnect with the spacecraft to no avail. "The spacecraft repeatedly passed over the Baikonur station and other Russian and foreign points of space communications during the night. There is no news yet," RIA Novosti reports a a Russian space program spokesman said. On Wednesday, Russian authorities said they had a three-day window to correct the problem. But RIA Novosti now reports that Russians are saying the batteries on the spacecraft will last for two weeks, so they have until then to restart the spacecraft's boosters. "I think we have lost the Phobos-Grunt," Vladimir Uvarov, a former senior space official at the Russian Defence Ministry, told the government daily Rossiyskaya Gazeta. "It looks like a serious flaw. The past experience shows that efforts to make the engines work will likely fail." Another official told the Gazeta.ru website: "The chances of it being revived and sent on its way to Mars are extremely small." So what happens if no progress is made? The probe will crash into Earth sometime in the next month or so. The problem is that it is full of fuel and the crash could be toxic.